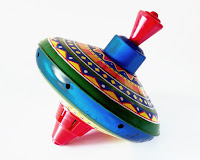 Wonderopolis has a great article on What Makes a Toy Top Spin. PBS Kids shares a simple Bottle Cap Spinning Top that would be a great addition for a makerspace. Thrifty Fun shows how to make Penny Spinners with easy to find materials.